They were either dating for a while (which would explain why Chyna wanted smoke with Alexis at that party), or Alexis and Rob Kardashian are the first #pettygoals of 2019. 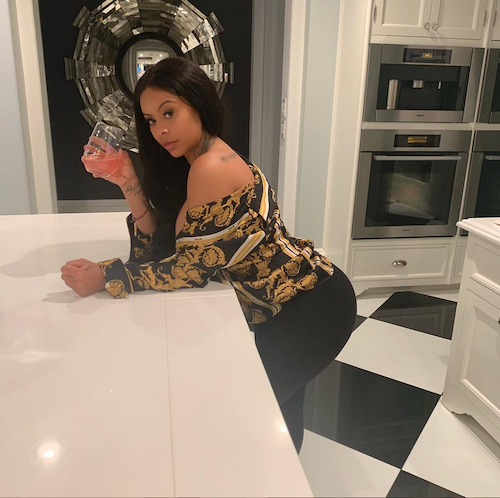 Alexis Skyy randomly popped up at Rob's (or Kris Jenner's) house Monday night, cooking for bae and all. He CERTAINLY has a type, if this is actually happening and not just a made up publicity stunt. Rob isn't in any of the video they both posted since he doesn't ever like to be on camera, but he did post her cooking for him on his IG. Whew chile. The petty. Alexis called him babe and baby a few times throughout the video, and she hasn't quite figured out how his tv works yet. This looks like a pile of mess waiting to happen. And our popcorn is READY.